Ergonomics requires a thorough understanding of all the moving parts associated with a system; i.e., each individual component, as well as how each component relates to, and functions as part of, the overall system. A systems-based ergonomics approach (macroergonomic) utilizes three areas. Ergonomics is commonly placed into the following categories: cognitive, physical, and organizational. 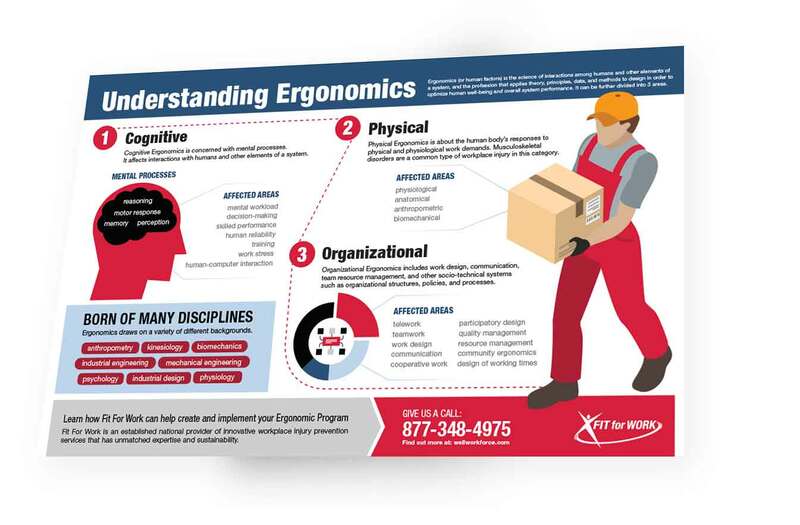 Download our printable infographic to learn about the 3 areas of ergonomics.